George Ford scored and converted a last-minute try to deny Scotland a famous win at Twickenham as England salvaged a 38-38 draw in the Six Nations. The home side needed over three minutes of time in the red to claw a draw back through Ford having led 31-0 in the first half. Scotland showed incredible heart and heroics to battle back level at 31-31 and then led 38-31 with five minutes to go. Sam Johnson's converted try looked like it had given Scotland their first Calcutta Cup victory at Twickenham since 1983 however England were determined not to let the match slip. The result means Scotland retain the Calcutta Cup after winning it outright last year and the match marks the highest-scoring draw in Test match history. It was a classic game of two halves and the first well and truly belonged to the home side. Eddie Jones' side scored their first try after just 66 seconds, Jack Nowell being set up by his Exeter Chiefs team-mate Henry Slade and that set their tone. Next, England's pack overpowered their visitors off a short line-out with Tom Curry finishing a training-ground maul move. Owen Farrell added both conversions. The purposeful start continued when Ellis Genge and Kyle Sinckler showed their powerful carrying in the build-up to Joe Launchbury surging over. A third conversion from Farrell, and a penalty, produced their 24-point lead after the same number of minutes. Scotland first scoring-chance arrived three minutes later but they fluffed their lines off the back of a lineout. England cleaned up the loose ball, went the length and wrapped up the bonus-point through Jonny May. Stuart McInally showed his wheels after a charge-down on Farrell and meant Scotland went into the changing rooms 31-7 down. Scotland were a totally different side after the break as they exploited English missed tackles, wrestled momentum back and showed their attacking prowess. Darcy Graham's rise on the international Test stage continued with two sensational finishes on 47 and 57 minutes. Magnus Bradbury's score sandwiched them and the conversions made it 31-24. A Hadleigh Parkes try and six Gareth Anscombe penalties ensured Wales clinched a Six Nations Grand Slam with an emphatic 25-7 win over Ireland. Fly-half Finn Russell was inspired and his own interception-try further boosted Scotland's confidence. Greig Laidlaw, on for Ali Price, then levelled the enthralling encounter at 31-31. Laidlaw missed a penalty with nine minutes to go but that did not matter as Sam Johnson showed his metal to put them in sight of a famous Calcutta Cup victory. As the time went into the red, Scotland led 38-31 but their hosts' determination saw them through and Ford salvaged a hard-fought draw. England: 15 Daly (7), 14 Nowell (7), 13 Slade (7), 12 Tuilagi (6), 11 May (6), 10 Farrell (6), 9 Youngs (6); 1 Moon (6), 2 George (6), 3 Sinckler (7), 4 Launchbury (7), 5 Kruis (7), 6 Wilson (6), 7 Curry (6), 8 B Vunipola (6). Subs: 16 Cowan Dickie (6), 17 Genge (7), 18 Cole (6), 19 Shields (6), 20 Hughes (6), 21 Spencer (6), 22 Ford (7), 23 Te’o (6). Scotland: 15 Maitland (7), 14 Graham (8), 13 Grigg (7), 12 Johnson (8), 11 McGuigan (6), 10 Russell (9), 9 Price (8); 1 Dell (6), 2 McInally (7), 3 Nel (7); 4 Toolis (7), 5 Gilchrist (6), 6 Skinner (6), 7 Watson (7), 8 Bradbury (8). Subs: 16 Brown (6), 17 Reid (6), 18 Berghan (6), 19 Gray (6), 20 Strauss (8), 21 Laidlaw (6), 22 Hastings (7), 23 Harris (7). Man of the match: Finn Russell. The key moment in this game came right at the very end. With full-time approaching the final penalty that Scotland gave away at the breakdown gave their hosts one last chance to roll the dice. Fraser Brown was the man penalised and England's fervent desire to come away with something ensued after. Scotland's ability to turn around a deficit of that magnitude shows considerable mental strength and oodles of belief. Disappointment and 'what ifs' had largely plagued their 2019 campaign with injuries and missed opportunities sitting high on the agenda. However, the fortitude that they displayed to put a dismal 40 minutes to the back of their minds, and wrestle the match back, was of the highest class. At fly-half Russell's performance reminded us all of his quality and his reaction after was exactly what as it should have been. Scotland haven't won at Twickenham for 36 years but he, and the entire team, weren't in any way satisfied with a draw. After such a dominant and purposeful first-half, the bad has to be England's inability to quickly respond to Scotland's advances in the second half. Instead of re-grouping after Graham's 47th minute-try they let Scotland develop their own momentum. It's not the first time that Eddie Jones' side have lost control of a match and not been fully able to wrestle it back. 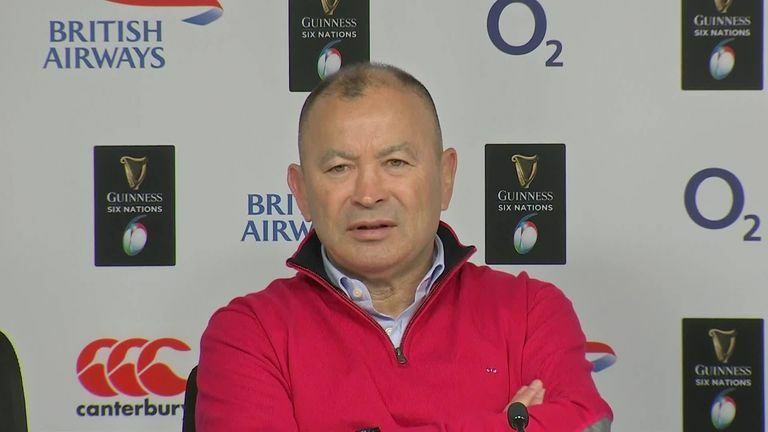 Between now and Rugby World Cup 2019, England need to find out their strategy when it comes to pressing pause, and then reset, during Test matches.